This dressing aid consists of two long plastic “T” shaped handles. 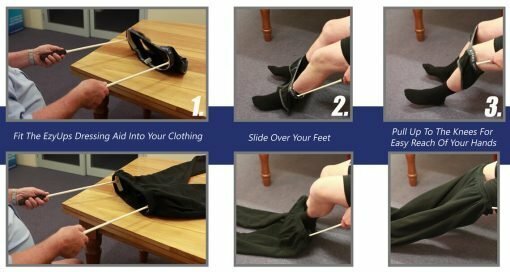 They are used together to assist the user to pull up underpants (disposable and standard), skirts, tracksuits, trousers and slacks. Available in three different colours.